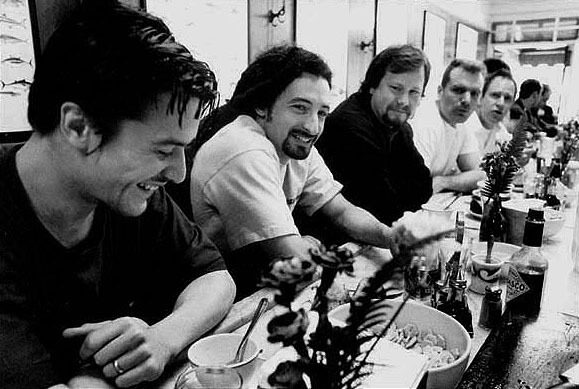 • FAITH No More? Not any more! To coincide with the legendary metal group’s reformation for this year’s Download Festival in Castle Donington, the group have put out a best-of compilation. The Very Best Definitive Ultimate Greatest Hits Collection is in stores now. • Here’s one to get your claws into – Veckatimest by Grizzly Bear. The group’s fourth album is a must-have collection of gloriously quirky indie pop. • Scottish singer songwriter Paolo Nutini has released his second album. Sunny Side Up, which contains the single Candy, is available to buy now. • American idol Kelly Clarkson has put out a new single. The track I Do Not Hook Up is the latest from her hit album All I Ever Wanted. • Jolly good news – Hockey have released a new single this week. One listen to the disco indie track Learn To Lose and it’s sure to stick with you. • For what it’s worth, the new single from Placebo is out this week. For What It’s Worth is the first taster of new album Battle For The Sun, which is out on Monday. • Trance metal band come crashing back this week Enter Shikari with their single Juggernauts. The track, out this week, even adds a rap section to the group’s already mashed up mix of dance music and metal. • If you’re on the lookout for bittersweet pop rock, then maybe the new single from Carolina Liar is what you’re after. The song, Show Me What I’m Looking For, released this week, is the first outing from forthcoming album Coming To Terms. • The Revolution will not be televised – instead it will be released later this month on CD and mp3 download. The Revolution presents Revolution, a collaboration between Cuban musicians such as Anónimo Consejo and Ariday Vega Martín and mainstream artists such as Norman Cook and Roisin Murphy, is out on June 29.